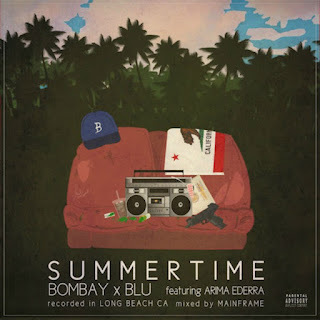 As the warmer weather creeps up and the Summer months are quickly approaching, Cali rapper Blu decided to release a new appropriate jam called "Summertime." The track features some bars from Arima Ederra over some smooth production from Bombay, who has a pretty recognizable sample in his beat. This will be on Blu's upcoming collaborative project with Bombay called Good To B Home.